Rain or Shine Annual Garrison Mill Elementary PTA Spring Festival. 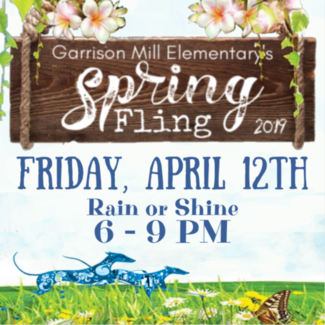 Our Spring Fling is an outdoor fun filled carnival that includes a Rock Wall, Extreme Inflatable Obstacle Course, 22 Foot Slide, Jousting, Food Trucks, DJ, Dunk Tank, Photo Booth, Local Community Raffle, Carnival Games and Prizes, Crafts,and Much More. Your help makes all the difference in celebrating our Amazing Local Community, School, Staff, Families and Children! Spotter. Assist in safety precautions. Assist kids in safety precautions for each activity.